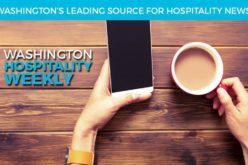 SEATTLE (April 4, 2017) – The Washington Hospitality Association debuted its premier series of hospitality summits in Seattle on April 4. To better connect local restaurant and hotel professionals by region, the association is hosting mini trade shows packed with expert speakers, trusted, trending vendors and networking opportunities in Seattle, Tacoma and Spokane. Seattle’s summit was a lively, discussion-filled afternoon digging into the new realities of tipping, service charges, tourism, preventing human trafficking and the potential of statewide paid family leave. Hospitality pros bounced ideas off their peers and took home action items from expert advisers to implement in their business right away. The association will host subsequent summits on May 22 in Spokane and in June in Tacoma. Each will offer hand-picked speakers and topics tailored to that region. To learn more about the summits and to register, visit hospitalitysummit.org.